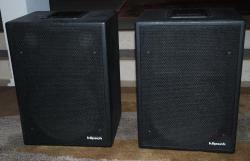 Selling a pair of rare black Klipsch HIP-2 speakers in black textured finish. Excellent condition with just a few minor handling marks. Comes from a pet-free, smoke-free home. Asking $700 + shipping or local pickup in Dallas TX. Wow, I never knew they made an HIP-2. I wonder if those specs are correct? 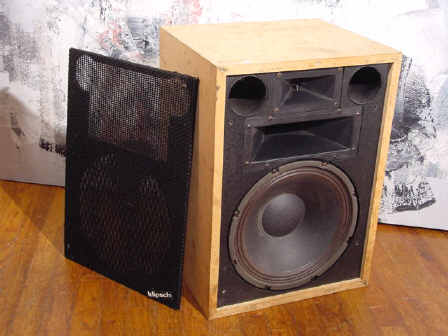 I love the original HIP's, by far my favorite sounding "Heresy" style speaker. I think I found the webpage you pulled the specs from. With the grill cover removed they look like an early version of the KP-250 with I'm guessing a k-79 tweeter and k-53 mid-horn. Good luck with the sale! By the way, I owned a G60 and an SLC VR6. Loved them both but they sure were $$$ pits. From what I can tell the specs are correct. Happy to confirm the model numbers for the drivers if anyone is interested. 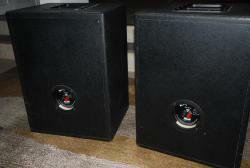 These speakers were made in AR, USA and have the signed inspection labels. They look sweet. Nearly identical to my KP-250's I picked up for a song except for the Klipsch name placement. 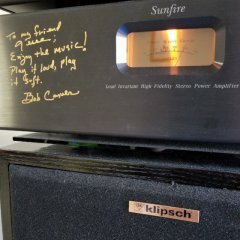 Amazing sound from these guys!